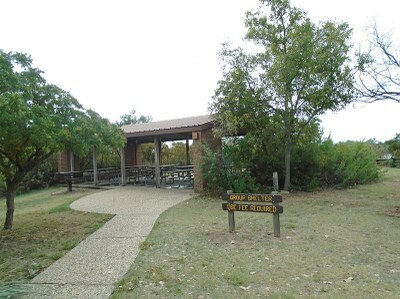 The pavilions at the Visitors Center and Lake Theo are both considered wheelchair accessible from the parking area, to the pavilion and its restrooms. A fishing pier at the park is usable by wheelchairs but you must cross some hard packed earth to get to it. The park's Amphitheater is also wheelchair accessible. Keep in mind that nature can play havoc with accessible facilities outdoors. Call the park before you visit to ask about its accessible features. Call the reservation center to request an accessible campsite (1-800-389-8900).